Big Bear Lake is a small city in San Bernardino County, California, located in the San Bernardino Mountains along the south shore of Big Bear Lake, and surrounded by the San Bernardino National Forest. The city is located about 25 miles (40 km) northeast of the city of San Bernardino, and immediately west of the unincorporated town of Big Bear City. The population was approximately 5,019 at the 2010 census, down from 5,438 at the 2000 census. 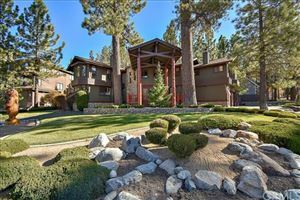 Being a popular year-round resort destination however, the actual number of people staying in or visiting the greater Big Bear Valley area regularly surges to over 100,000 during many weekends of the year. Based on information from California Regional Multiple Listing Service, Inc. as of Apr 21, 2019 10:20:pm. This information is for your personal, non-commercial use and may not be used for any purpose other than to identify prospective properties you may be interested in purchasing. Display of MLS data is usually deemed reliable but is NOT guaranteed accurate by the MLS. Buyers are responsible for verifying the accuracy of all information and should investigate the data themselves or retain appropriate professionals. Information from sources other than the Listing Agent may have been included in the MLS data. Unless otherwise specified in writing, Broker/Agent has not and will not verify any information obtained from other sources. The Broker/Agent providing the information contained herein may or may not have been the Listing and/or Selling Agent.